I know you have been meaning to make a snowman to participate in our Snowman Building Challenge this month. Don’t put it off any longer! If you cannot make it outside or do not have any snow, make a snowman inside. 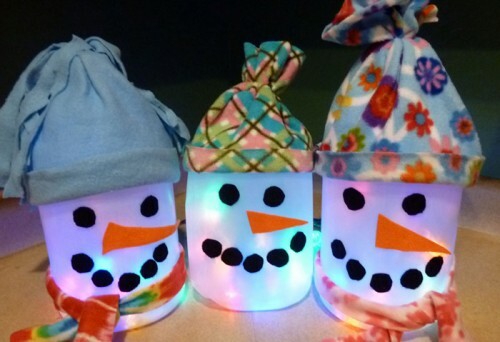 Here are some great indoor ideas and some Snowman Food ideas that would make a great snack or treat! So pick something, do it, snap a picture, if you can, and share it under the January Family Challenge (picture or just a comment) or on the Fun On a Dime facebook page. Have fun!